The Beginning of the End.. The final art-a-thon starts now! As I stated, all the prompts will be available at the start of the art-a-thon. Below you will find all the prompts. You can work on them in any order you like. You can share your creations either in the Facebook Group or on social media using #24hrartathon or #24hourartathon. You can click here or click the image to get a printable pdf of the prompts. Now go, create and have fun! Prompt images used in pdf are from Pixabay.com. I have decided I will no longer be hosting art-a-thons. 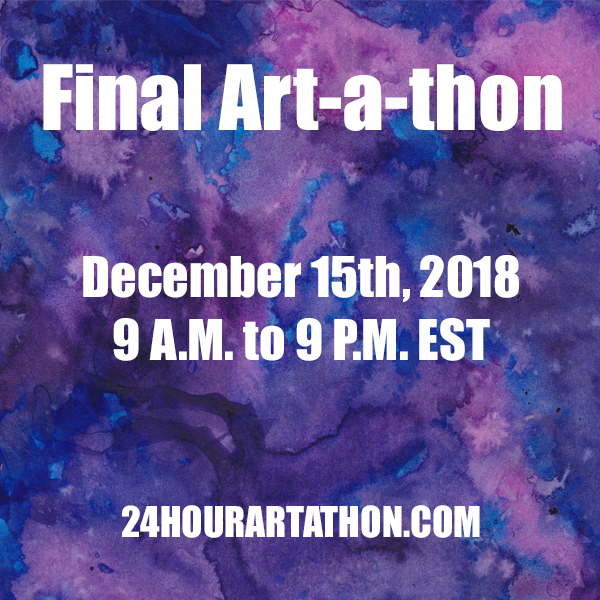 However I wanted to host one final art-a-thon on December 15th from 9 A.M. to 9 P.M. EST. For this art-a-thon things will be a little different. 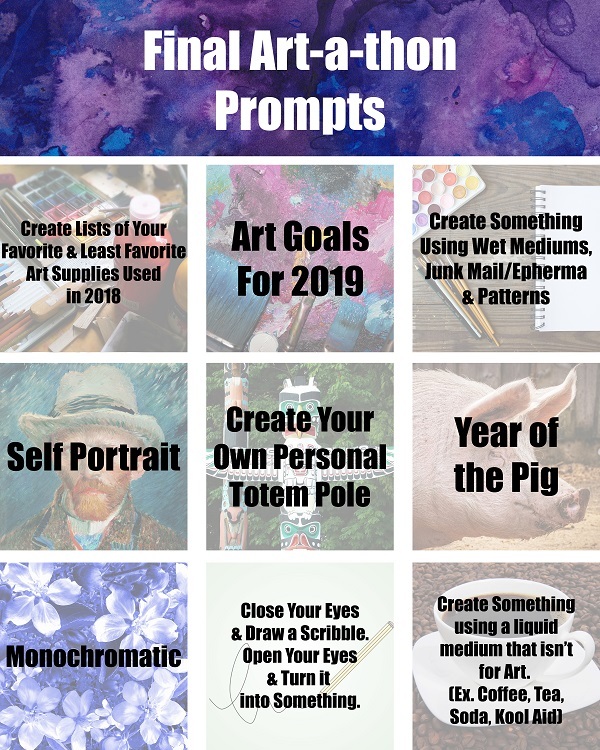 Instead of posting a prompt every 2 hours, I will be posting all the prompts at the start of the art-a-thon. This way you can work through them at your own pace. I decided to do it this way because a couple of the prompts some people might get through them quickly and I didn’t want them to be bored while they waited for the next prompt to get posted. There will be at least 2 prize packs given at the end of the art-a-thon. As long as you post your creations in either this group or on social media using #24hrartathon or #24hourartathon you will be entered to win. I’m sorry that there will not be any further art-a-thons. I’ve had fun but just can’t do them any more. This is the last hour of the art-a-thon and because of that I have decided to keep this prompt simple. 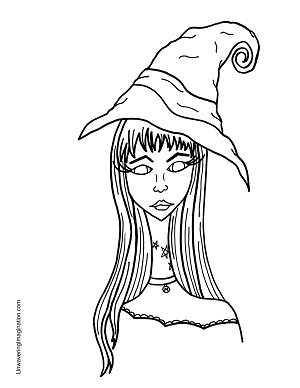 For the last prompt you are to create your own Halloween coloring page. 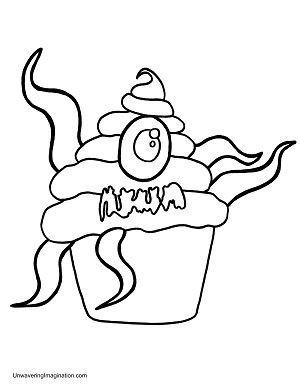 Creating a coloring page is pretty simple. You start by sketching it then using a marker or fineliner to go over the lines and then erase any pencil marks. If you have a scanner you can scan it or you can use your camera and take a really good photo of it and then, if needed, edit it on your computer. Once you create your coloring page you can share it with the other participants so that they may color it in but only if you want to. 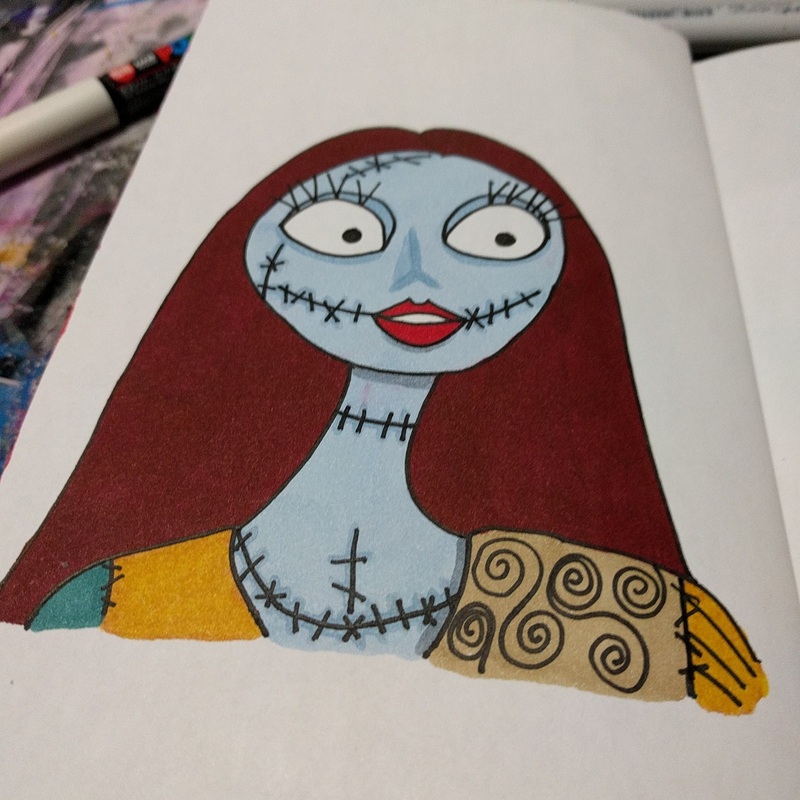 Below are two coloring pages I created for the art-a-thon. You can click on each image to download them. At the end of the art-a-thon I will select a winner at random for the prize. Good luck! The Nightmare Before Christmas turns 25 this year. It was released October 13, 1993. It is one of my favorite films. Tim Burton had the idea of Nightmare Before Christmas since the early 80s. He eventually had a deal with Disney but when the film was ready to release Disney deemed it “too dark and scary for kids” and instead released it through Touchstone Pictures. I was 13 when it came out and enjoyed it and even if I had been younger I still would have enjoyed it since I have always liked dark and scary things. 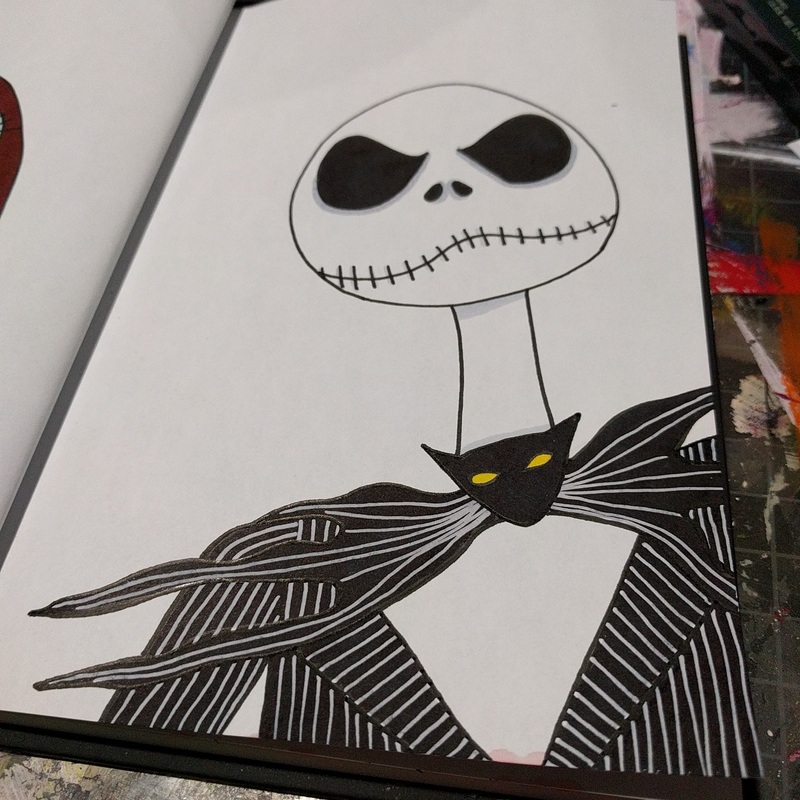 For this prompt, create something to honor the Nightmare Before Christmas’ 25th anniversary. This could be based on a character from the film, a specific scene from the movie, or something original based on elements from the movie. 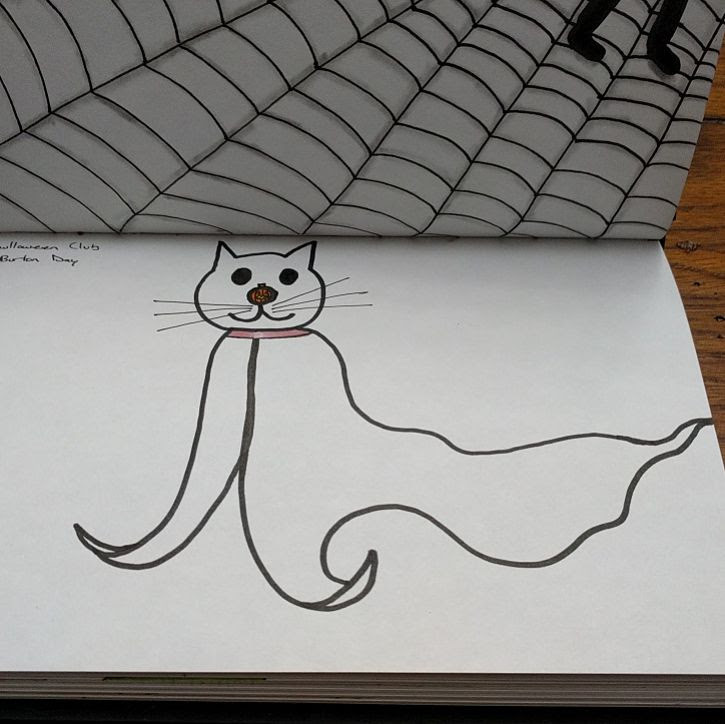 Zero, who I turned into a cat for Mab’s Drawlloween Club last year. 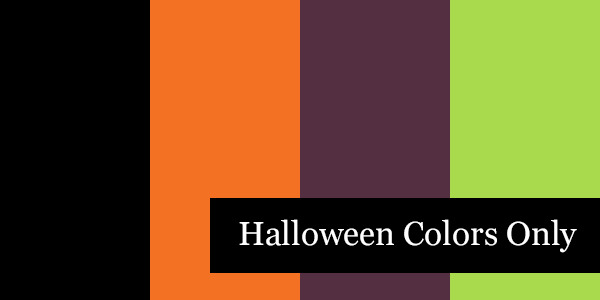 So for this prompt you are to create something using only Halloween colors: black, orange, purple, and green. No other colors should be used. However you may use white for highlights but it should not be a predominant color. 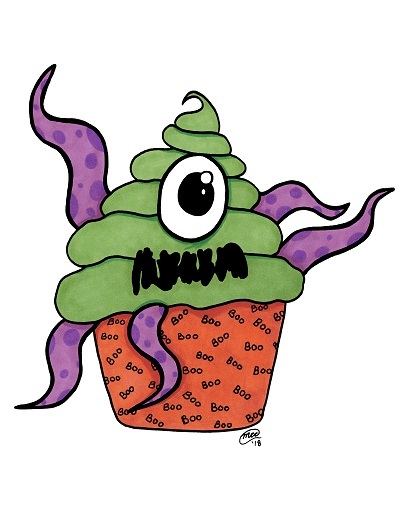 Cupcake Monster created using only the four Halloween colors. Remember to keep sharing your creations in the Facebook group or using #24hourartathon on instagram or twitter. Beka on Let the scares begin! Muahahahaha!! Melissa on Let the scares begin! Muahahahaha!! © 2019 24 Hour Art-a-thon. All rights reserved.